SOLD!!! 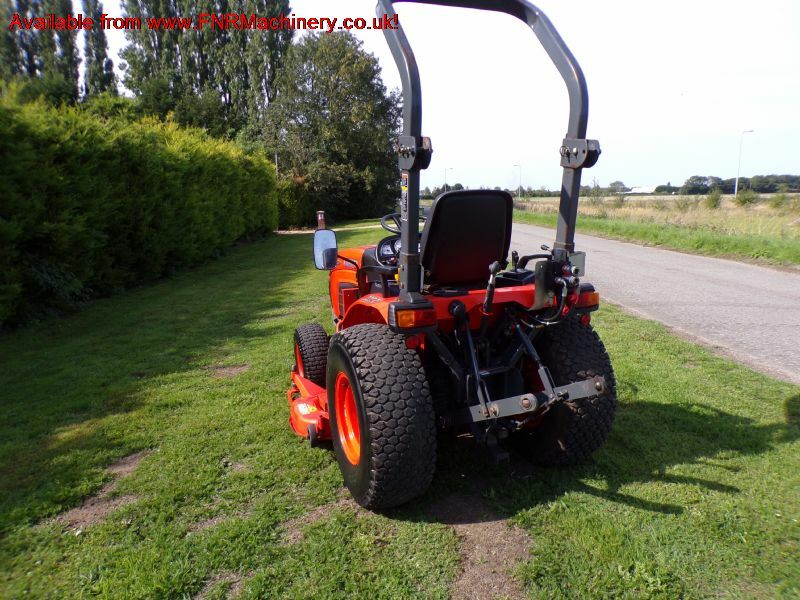 KUBOTA B2530 COMPACT TRACTOR 4X4 MID MOUNT SOLD! Brief Description: YEAR 2008. HOURS 2314. 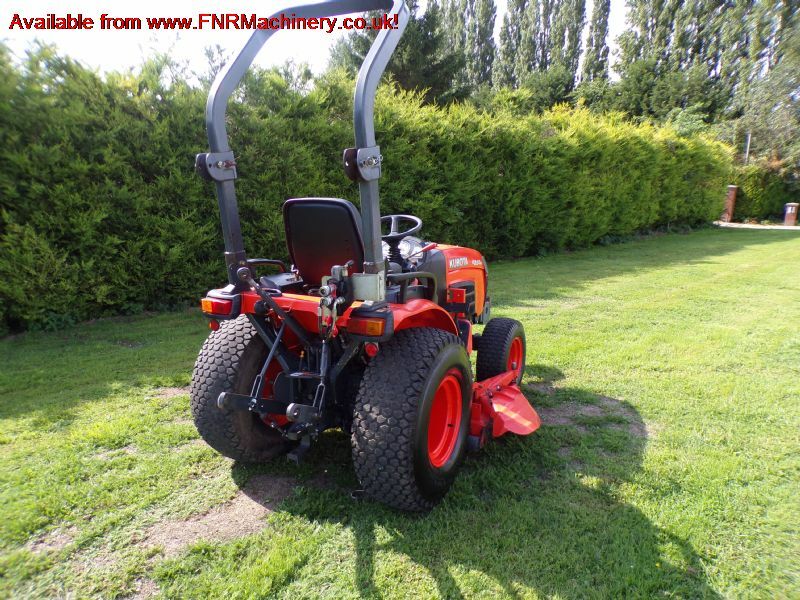 COMPACT TRACTOR. 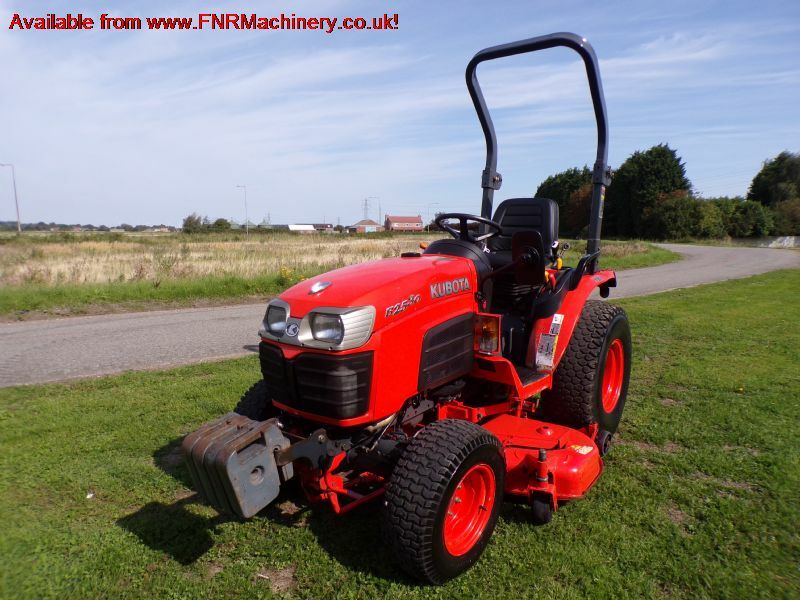 25HP 3 CYLINDER KUBOTA DIESEL ENGINE. 4X4. REAR PTO. 3 POINT LINKAGE. PAS. HST. ROPS. DRAWBARS. TOW. SPOOL VALVES. FRONT WEIGHTS. TURF TYRES. MID MOUNTED SIDE DISCHARGE DECK. UNDER SLUNG FITTINGS FOR CUTTING DECK. 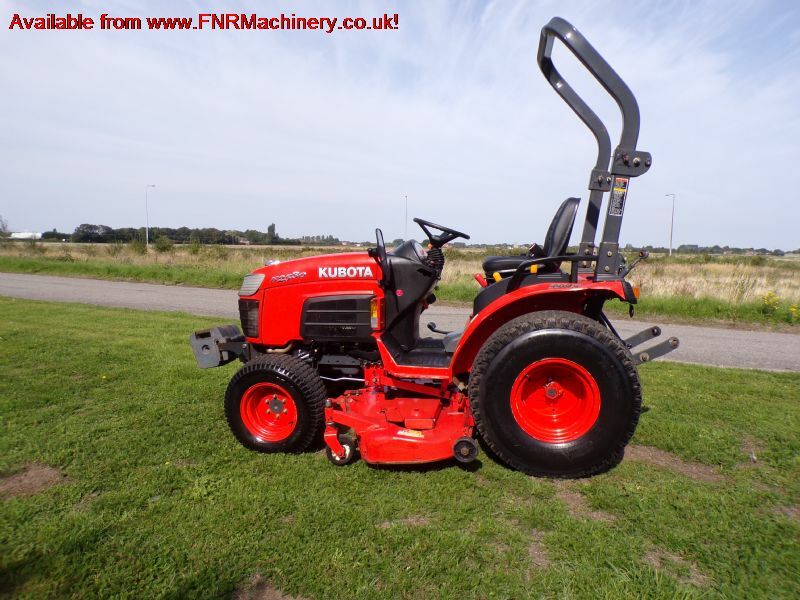 More Information: The Kubota B2530 Compact Tractor is a 25HP compact tractor featuring HST transmission, Bi speed turn, This Kubota B2530 has 3-point linkage. 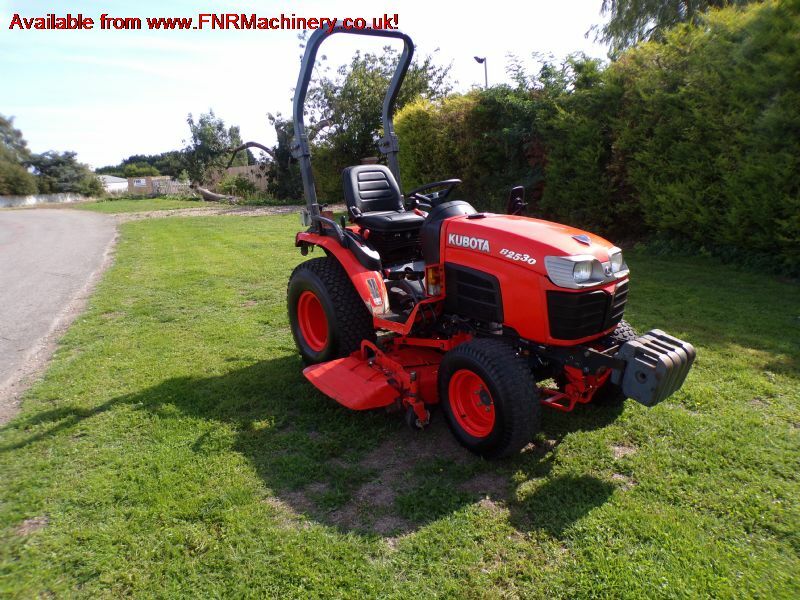 The Kubota B2530 Compact Tractor is a 25HP compact tractor featuring mechanical transmission, Bi speed turn, 3-point linkage. The Kubota B2530 Series compact tractors combine versatility and high power output so even the toughest jobs are tackled effortlessly. 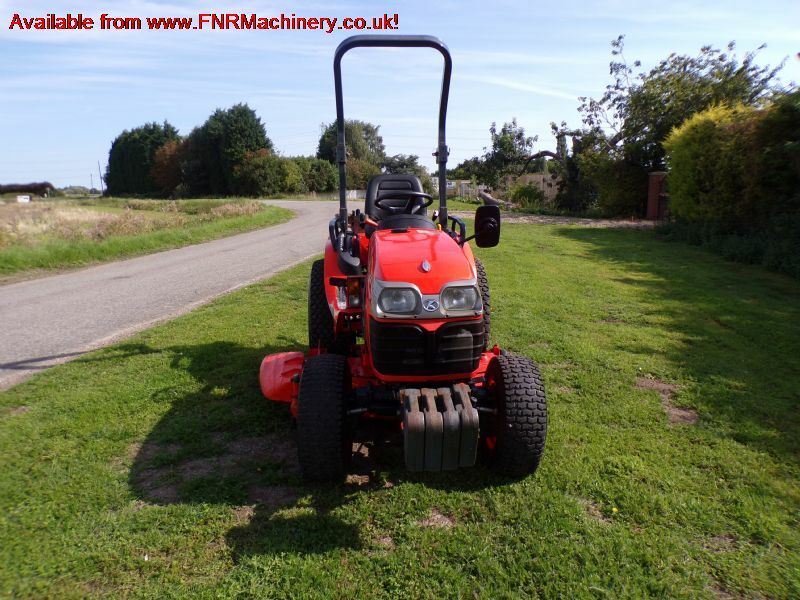 With four variants ranging from 18HP to 30HP, there is a Kubota compact tractor to perfectly suit your needs.